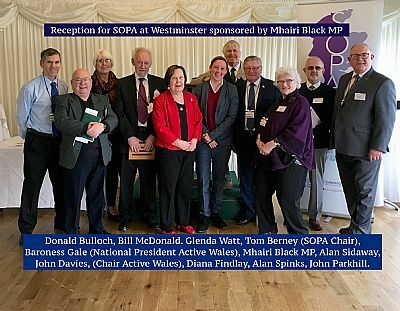 The 2015 Assembly was sponsored by Christian Allard MSP and addressed social justice in the context of SOPA’s Action Plan topics. 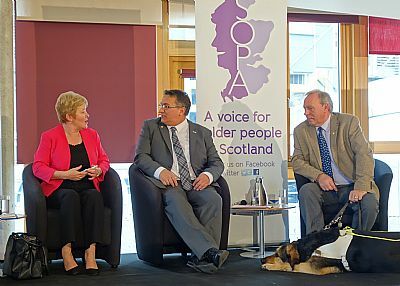 Alex Neil, MSP, Cabinet Secretary for Social Justice, Equalities and Pensioners' Rights delivered the keynote speech. 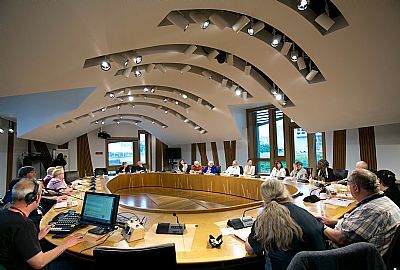 The morning session was held in the Members Room. 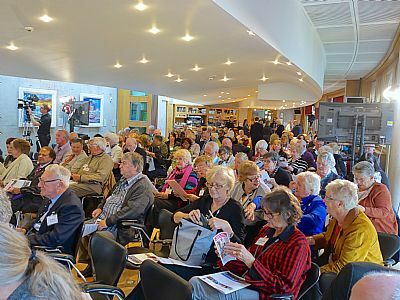 After lunch there were six hour-long workshops on themes that people had identified as important - Housing and Community Safety, Health and Social Care, Transport, Travel and Environment, Community Empowerment, Retirement, Pensions and Money Matters and Communication and Information. 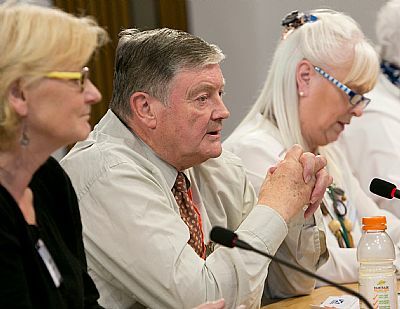 Older representatives on all Joint Integrated Boards and improved quality of life for people cared for in a home and at home through links to the community. 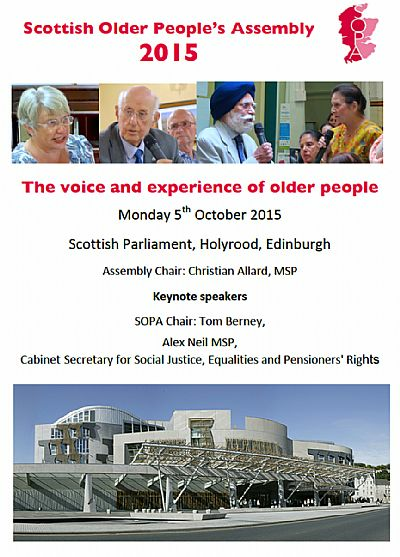 No discrimination concerning psychological and therapeutic services for people 65 plus. Each workshop focused on one or two topics, shared experiences and identified up to 2 campaigning actions for presentation in the Plenary Session. 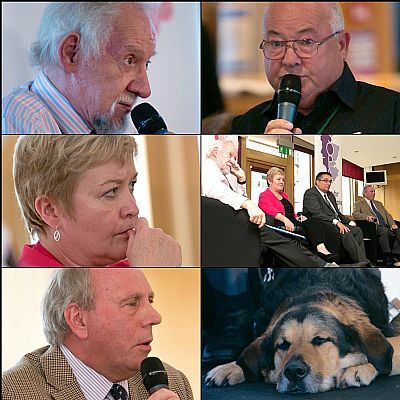 The topics were drawn from the priority areas identified at the local meetings around the country. 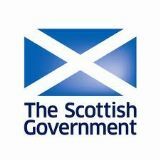 The topics were Housing and Community Safety, Health and Social Care, Transport, Travel and Environment, Community Empowerment, Retirement, Pensions and Money Matters and Communication and Information. 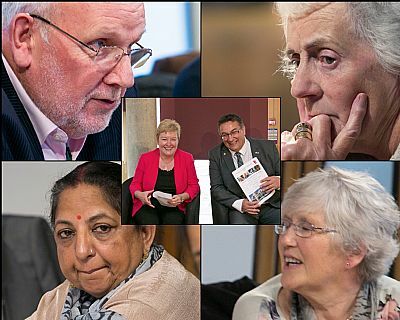 Click on the hyperlinks below and use the slider to navigate to the start point of the workshop video. 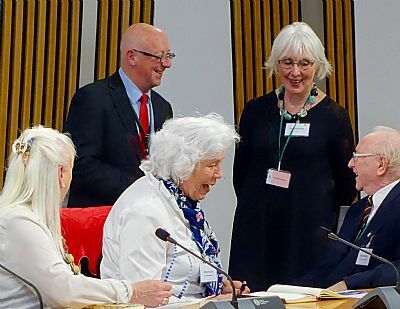 Tom Berney and Val Bissland were interviewed briefly on the Kaye Adams Programme on BBC Radio Scotland before the Assembly. 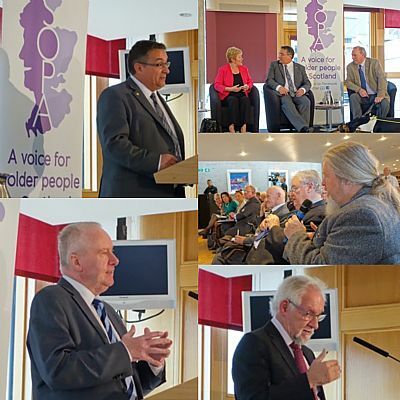 They highlighted the role of older people in creating a fairer society. Click here to listen.